Home/Blog/All the reasons why a Microsoft 365 subscription is crucial for your business. Microsoft brings yet another solution that delivers simplicity, innovation and value to your business with Microsoft 365. This is the next generation in cloud productivity and combines Microsoft Office, SharePoint Online, Exchange Online and Lync Online. It also includes some useful Microsoft Office 365 business apps such as Outlook Customer Manager; Mobile Device Management and security tools powered by Windows 10 and Enterprise Mobility and Security package (EM+S). So what can you expect from Microsoft 365 Business? Enhanced security – Microsoft 365 establishes powerful authentication and security protocols for employees and systems. Protect your company data against malicious external threats and information leaks with built-in privacy and compliance tools. Safeguard against phishing and ransomware with sophisticated scanning of attachments and AI powered analysis to detect and discard dangerous messages. Prevent leaks of sensitive business data with industry-leading privacy protection, data loss prevention and powerful email encryption. Office 365 applications are accessed through powerful 128-bit SSL/TSL encryption and antivirus signatures are always up to date. EM+ S is GDPR compliant and offers protection of all the Office mobile applications installed on user’s devices, meaning you can manage and delete any company data stored on them across both employee and company owned devices. Increased Productivity – effective and simplified, Microsoft 365 allows you to easily set up and manage users, devices and data giving you more time to focus on growing your business. Reliability – Microsoft’s Online Service has a guaranteed 99.9% uptime, using multiple datacentres around the world, so you never have to worry about losing productivity due to server downtime. 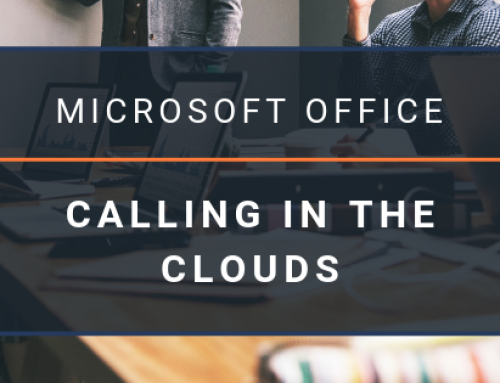 Access from anywhere – online versions of all your favourite Office products, and 1TB of OneDrive online storage means you can access your documents, email, contacts and calendar from anywhere, all you need is an internet connection. You’ll have access to all the features and functionality of the most up-to-date versions of Microsoft’s server products. Streamlined business communications – With the connection to Exchange Online, documents can easily be emailed to your customers. With the connection to Lync Online, target specific contacts for a webinar or whiteboard discussion and instantaneously attach a record of it to those contact records. Using SharePoint Online, documents can be stored in a central repository that allows you to designate contacts for immediate access. Compliance and compatibility – Certified compliant with government and industry standards, and compatible with multiple operating systems. Powerful tools to manage your business – get Microsoft teams to plan schedules and manage appointments with Microsoft bookings. Nurture your customer relationships with Outlook Customer Manager. Web and mobile versions of Office applications – use Microsoft 365 across virtually any device. With this version, you can just upload a file to the cloud, open Outlook and link the file. It also allows one to edit the file to whoever you email the link to, and you can still change this if you like. Several people can edit the same document at the same time because Office 365 integrates seamlessly with the cloud. You also get to see the edits being made as they happen and know exactly who is making them. Office 365 is integrated with Bing image search, so as you type you get to have image suggestions based on the words that you are typing. It also updates you as you edit or add the words. With Office 365 you can forget about spam. You can train your inbox to automatically move messages that it deems less important to a Clutter folder. You can then choose to either delete all read these messages later. It allows you to convert the notes you write on your to-do list to tasks with reminders and deadlines in your calendar. You also get to add meeting details to notes and email them to whoever is concerned. The power map feature lets you convert any data in Excel into images. If data is geographic, it will turn to a 3D map. The OneDrive app for Android allows you to link it with both your OneDrive business and OneDrive personal accounts and you can easily work between them. Office 365 guesses the lines that belong together from your handwritten scribbles on OneNote and if wrong you get to correct it using the Lasso tool. It has a new quick analysis feature that allows you to quickly look into different ways in which you can present the material you are working on. You can add an email signature electronically using the signature app known as DocuSign. With this app, you can also collect signatures from other people if and when need be. So, this means no more scanning signatures. Flash Fill, a feature in Office 365, automatically realizes the changes you are making and completes it for you. It then presents the reformatted list, and all you need to do is to click it to accept it. This version of Office allows you to edit your PDF document by simply converting it into a Word document without dealing with the formatting issues that you experience when you copy and paste a document. You can also choose to save the document or just a part of it as a PDF and protect it with a password. You can command PowerPoint to change the icon to a red dot to act as your laser pointer and use your mouse. You can also use when using your iPad while giving a PowerPoint presentation. If you have been in that situation where you have been included in unnecessary emails because the sender accidentally or intentionally clicked the reply all button, then you will definitely appreciate this feature. You can easily click the ignore button, and you will not see any of them. Data you put into Office 365 belongs to you, that means you have complete control of it. You have extensive privacy controls and visibility into where your data resides and who has access to it, as well as availability and changes to the subscription service. If you end your subscription, you can take your data with you at any time. There are plenty of apps and features in Office 365 to help you keep your information safe from cybercriminals. Multi-factor authentication (MFA) adds a layer of protection to the log in process. 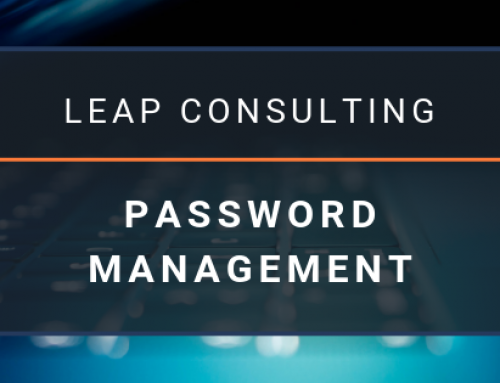 Typically, you just use one way to verify you are who you say you are (a password) to log in to most services, including Office 365. Mobile device management (MDM) isn’t about spying on your employees – it’s about controlling access to your company’s data. Regardless of whether your company has a Bring Your Own Device (BYOD) policy, your employees are likely accessing company data with their phones and tablets. Say that phone gets lost or stolen – then what? MDM is another feature with multiple options, depending on what level of control you need. One of the most popular forms of cybercrime right now is ransomware, which is spread almost entirely through malicious links and attachments in emails. These are getting more and more sophisticated and realistic looking, making them harder to spot, especially for employees who aren’t trained in what to look for. That’s where Privileged Identity Management comes in. It gives you the ability to assign users as what’s basically a temporary admin. It works by marking specific users ‘eligible admins’, who can request admin privileges when needed. The request is customizable, so you can control how long they will have access to admin privileges and what information they need to provide (like why they need admin access) before it is activated. 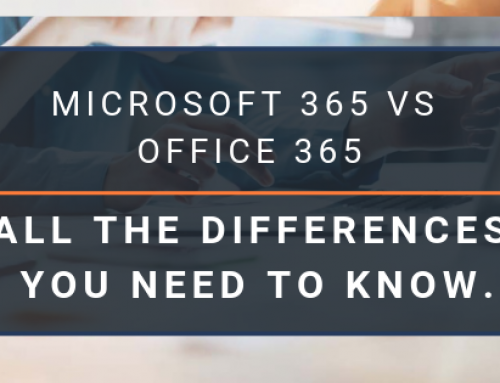 Making the switch to Microsoft 365 could be the solution that provides your business with the edge that it needs to succeed in today’s competitive marketplace. Developing and maintaining a sophisticated and secure mobile workforce environment can typically require considerable resources for small to medium businesses. With Microsoft 365, you can now access a collaborative work environment that is both productive and secure without incurring overwhelming costs. 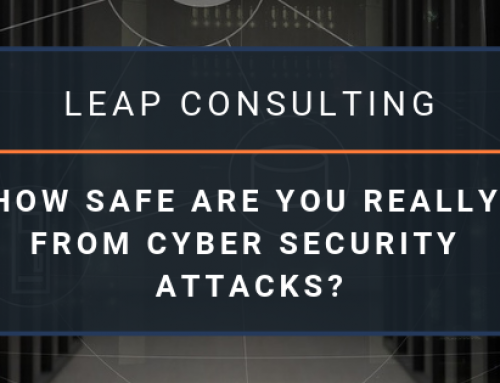 Leap Consulting is an award-winning, full service IT managed security and outsourcing company. 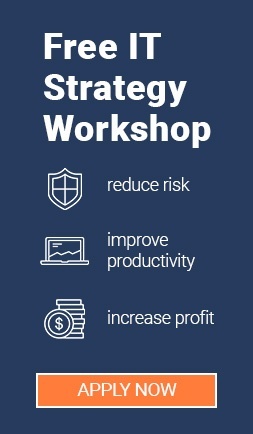 We’ve been helping businesses in WA plan effective IT strategy and management for over 14 years. Contact us for the full details on subscribing to Microsoft 365 and start enjoying the benefits of the next level in technology and security. 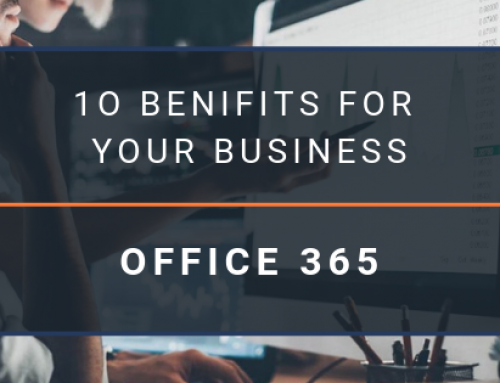 By Zaun Bhana| 2019-04-03T19:08:55+08:00	March 27th, 2019|Blog|Comments Off on All the reasons why a Microsoft 365 subscription is crucial for your business.